Millipedes and centipedes are not insects but distant relatives of lobsters, crayfish and shrimp. They are land dwellers, but they prefer moist areas with high humidity. They carry no diseases to man, animals or plants. They are considered more as nuisances than destructive pests, and are beneficial in the garden. Millipedes, commonly called “thousand-leggers”, have elongated, cylindrical bodies with 25+ pairs of short legs, two pairs per body segment. The legs are held beneath the body and appear to ripple in waves as they move. The head is rounded and projects two short antennae. The body color ranges from light brown to black. Millipedes move slowly and coil up when disturbed or dead. They range in length from a half inch to six inches. They are not venomous but possess glands that produce an irritating, foul-smelling fluid. They feed on decaying vegetable matter. 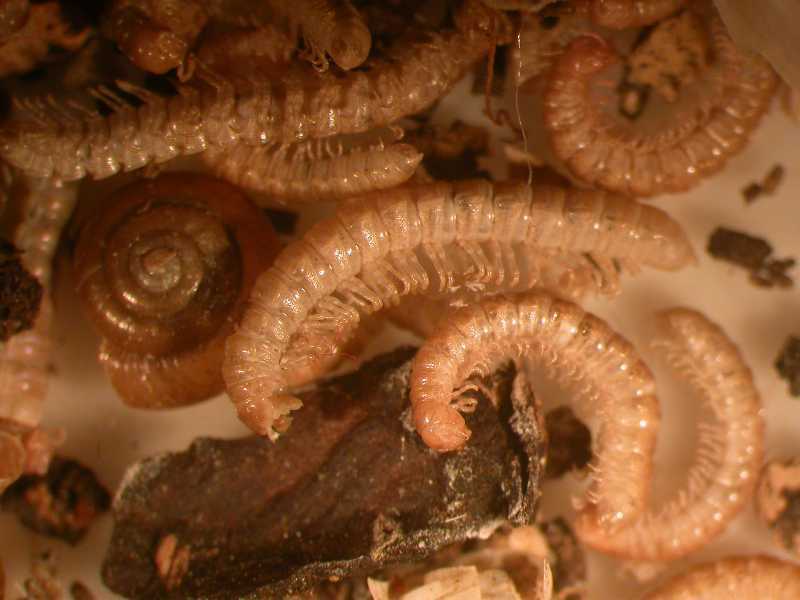 Millipedes migrate in great numbers when it is too hot or too cold, too wet or too dry. They may migrate indoors, but they do not reproduce indoors. They are considered beneficial in the garden because they enrich the soil by breaking down decaying vegetation. Centipedes, commonly called “hundred-leggers”, have elongated, flattened bodies with fewer than 25 pairs of long legs, one pair per segment. The legs project laterally from the body. The head is flattened and projects two long antennae. Just behind the head are the jaws that contain venom glands used to paralyze their prey. 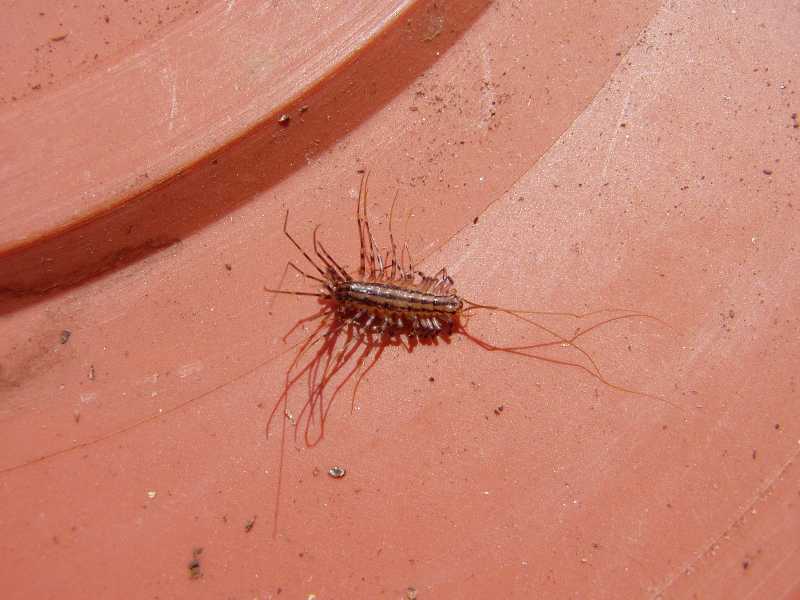 Centipedes are predators, feeding on insects and spiders. They move rapidly and never coil up their bodies. They are yellow to brown in color and just over an inch in length. 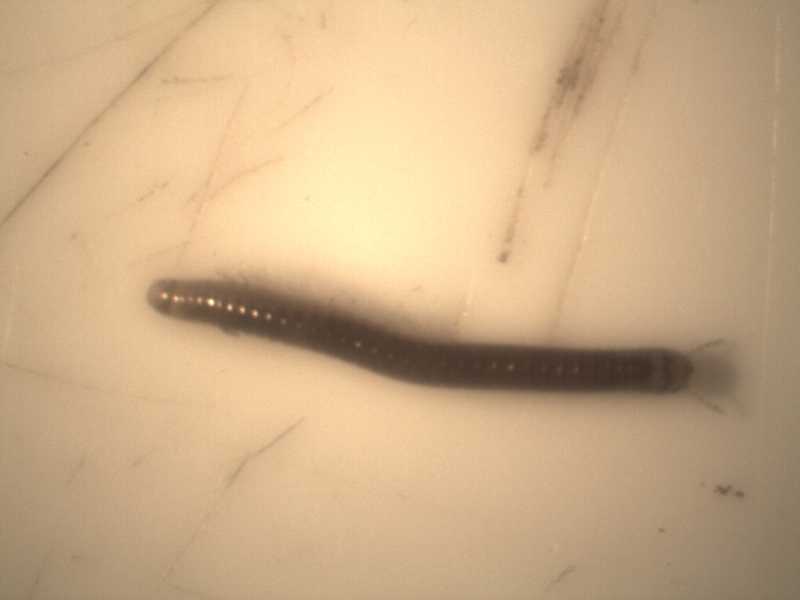 Millipede adults overwinter in the soil. In spring the female lays 20-300 eggs in the soil. 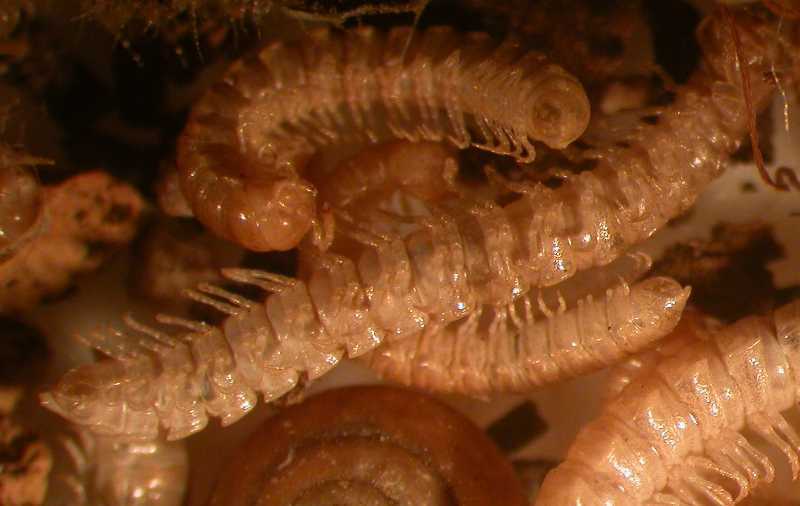 The first stage larvae have only three pairs of legs on three body segments. 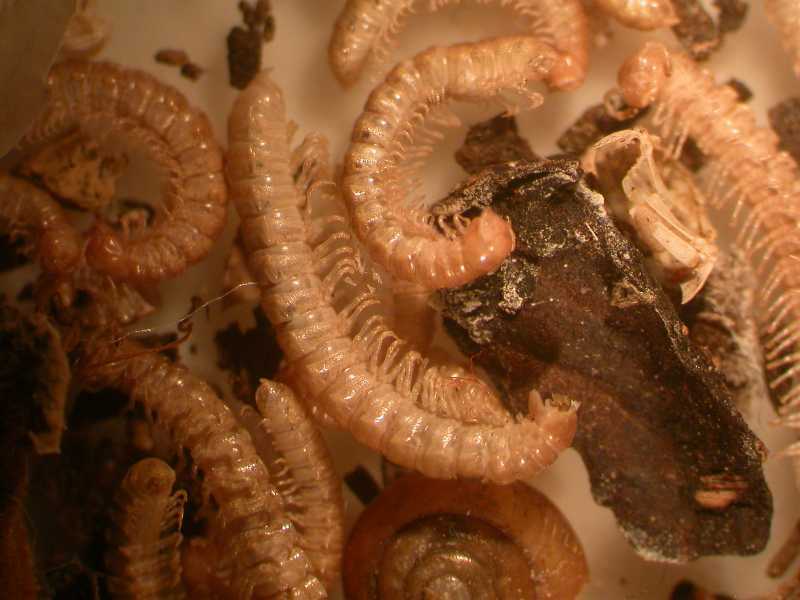 The larvae go through 7—10 development stages and become adults in 2—5 years. Adults live for several years. 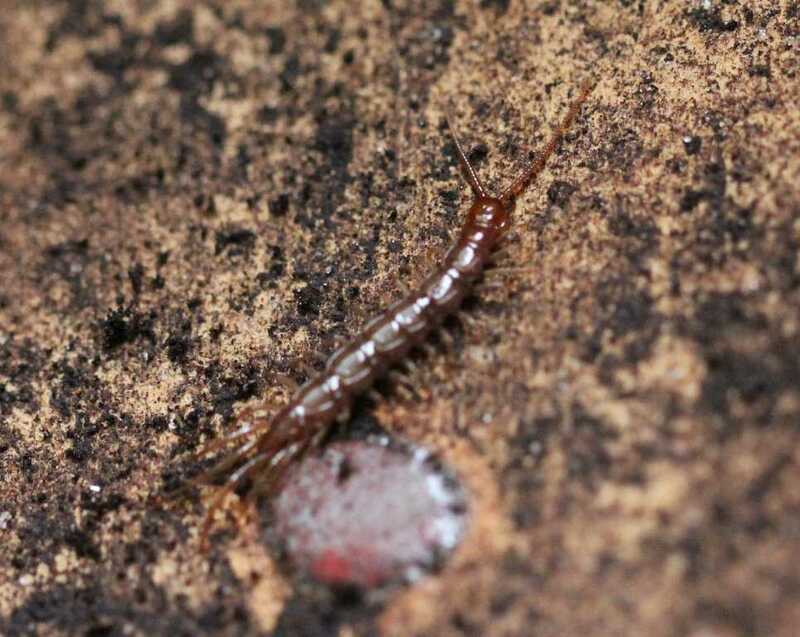 Centipede adults overwinter in secluded, moist places. In spring and summer females lay eggs in damp soil. Some species are born complete and others add segments and legs as they grow. They mature in 2—3 years and live up to six years. 1. Control Outdoors. Millipedes and centipedes are considered beneficial outdoors; therefore, encourage their presence. To help prevent them from moving indoors: remove organic matter in contact with the house foundation, minimize watering near building foundations, clean up piles of rocks, leaves, compost and general refuse near the building, and make sure doors and windows fit snugly (caulk crevices). Pesticides can be used to treat the foundation and an adjacent three-foot ground strip with dust or aerosol spray labeled for these organisms. Follow label directions precisely. 2. Control Indoors. Hand pick or vacuum to control individuals. Reduce moisture and remove hiding places, or place sticky traps against walls near entryways. You can also use a pesticides if populations are high or persistent. A contact or aerosol sprays containing pyrethrins or carbaryl can be used. Treat baseboards, cracks and crevices. Follow label directions precisely.